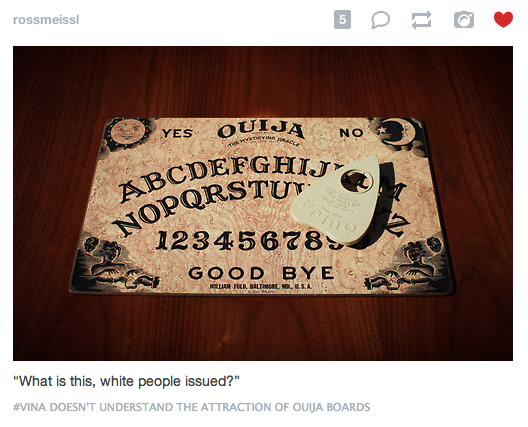 That day I went to help with the Rossmeissl yard sale and discovered that they were selling a Ouija board. b. I don't know, vina. 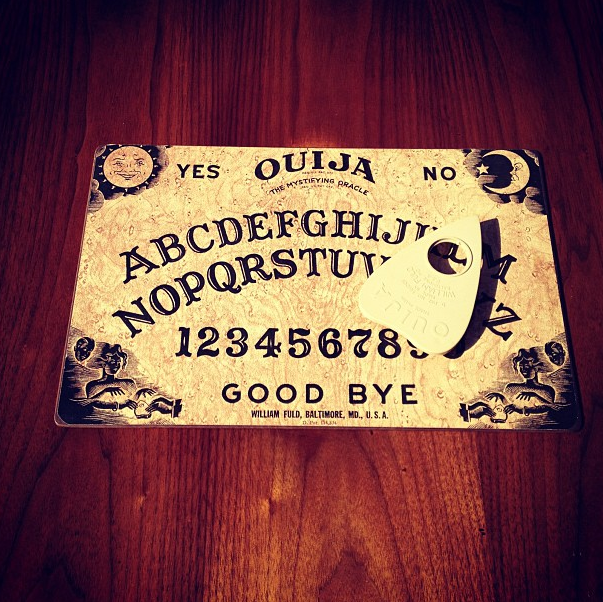 Should you take this Ouija board and put it in PX or TNT for Halloween? c. Nah, son. Horror movie waiting to happen. me: I'm at a yard sale, do we want a Ouija board for Halloween? Meshe: Don't even touch that thing!!! Spirits follow you home, haven't you watched the movies?!!!!!!! I UNDERSTAND THAT'S HOW YOU GET HAUNTED.